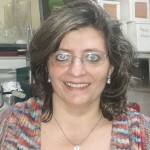 Carolina Inés Ghanem, was born in 1972, is Biochemistry (1996) and Pharmaceutical (2011). She has gotten both degrees in Faculty of Pharmacy and Biochemistry (FFYB) of the University of Buenos Aires (UBA). She completed her PhD thesis with a postgraduate scholarship from the same university in 2007 in the field of pharmacology-Toxicology, developing in parallel her teaching career. Currently she is teaching professor of Pathophysiology in the department of Biological Sciences in FFyB-UBA, and as researcher of CONICET in the LABORATORY OF DRUG TRANSPORTERS PHARMACOLOGY. During her training she completed three internships abroad, two in the Department of Pharmacology and Toxicology – University of Connecticut in 2013 (3 months) financed with a Fulbright scholarship and in 2011 (6 months) financed with an external internship Grant (CONICET) and the last one in the Department of Physiology and Pharmacology, University of Salamanca, in 2007 (6 months) financed by a grant for Short-term Internships (CONICET). In his free time he enjoys family, friends and nature escaping to a beach whenever she can.